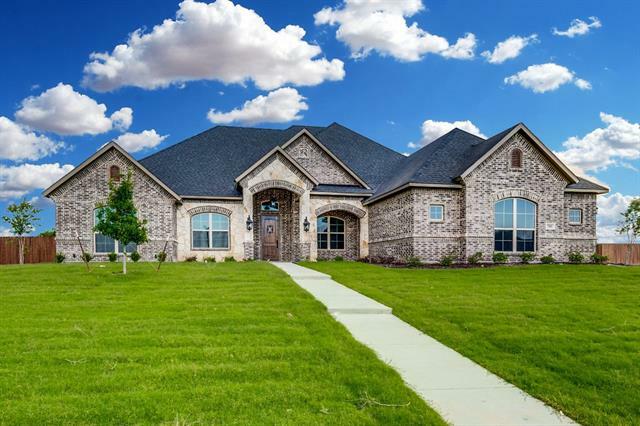 All Ovilla homes currently listed for sale in Ovilla as of 04/24/2019 are shown below. You can change the search criteria at any time by pressing the 'Change Search' button below. If you have any questions or you would like more information about any Ovilla homes for sale or other Ovilla real estate, please contact us and one of our knowledgeable Ovilla REALTORS® would be pleased to assist you. "Warm and welcoming custom 4234 sq ft 4 bedroom 3 full bath 2 half baths 3 living 2 dining PLUS study home is nestled in cul-de-sac on a gorgeous .75 acre treed lot in highly sought after Cumberland Forest Estates.Grand entrance flanked by formal dining and study leading into the formal living with fabulous windows overlooking pool and tiered grounds.Gourmet kitchen opens to the family room featuring center island, lrg wrap around breakfast bar, double oven,gas cooktop, recessed and above and und"
"Nestled behind a towering grove of mature trees, this beautifully appointed CustomHome on quiet cul-de-sac has impressive 1 acre lot. The interior flows freely with a most desirable floor plan including recently upgraded kitchen...white cabinets and chevron pattern backsplash. Full master bath remodel with gorgeous carrara marble. 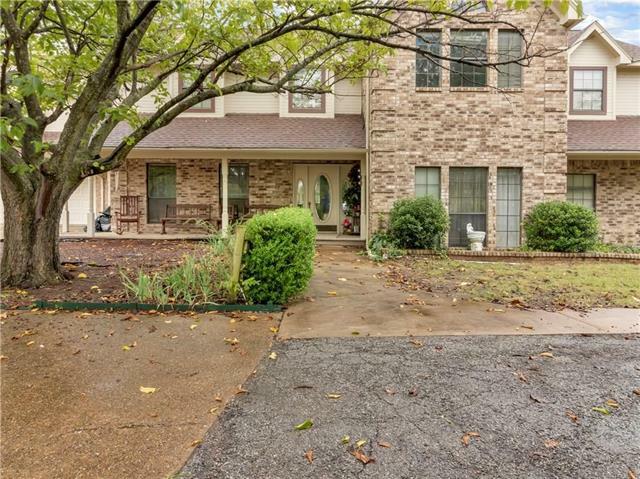 The second story is great for kids; privacy for studying, and a large game room-2nd living area for watching movies or hanging out with friends. An abundance of stora"
"Welcome to your oasis away from the hustle & bustle of the city. Once you arrive, you will be surrounded by 3 acres of beauty, peace, &quite. Secluded & private on one hand, but also just minuets from shopping, school, and anything else you might need. 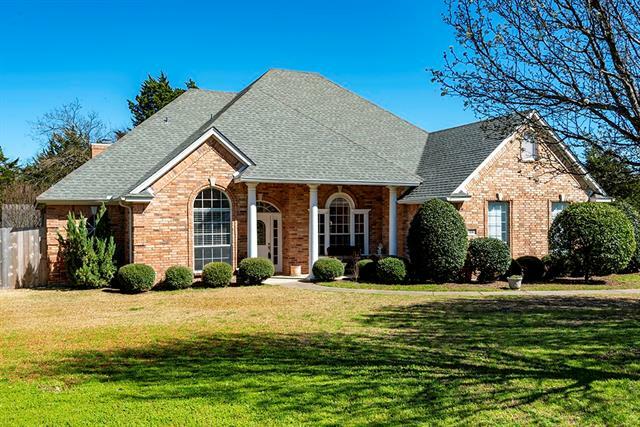 Enjoy 6 beds, 4.5 baths, 2 living, 2 dining rooms, & upstairs game room! Whether you prefer a master suite up, or on the first floor, this home has you covered! Downstairs master suite features connecting room suitable for a seating area, office, "
"Beautiful home for the Growing Family in sought after Ovilla Parc. Gorgeous park-like back yard & oversized outdoor living area with outdoor fireplace to enjoy with family & friends. Nicely finished out with tons of detail inside and out. Fabulous entertaining space downstairs. Huge kitchen with tons of granite counter space & custom cabinetry. Secondary bedrooms & 2nd living room upstairs--perfect space for the kids. Master & guest bedroom downstairs. Space for a home office. Three car garag"
"This recently updated home is located on a large 1 acre corner lot with tall trees in the Ovilla Oaks neighborhood. No HOA. Featuring New Carpet, 2 New Hot water heaters, New HVAC Units, and a 3 year old roof, it is the best Ovilla has to offer. 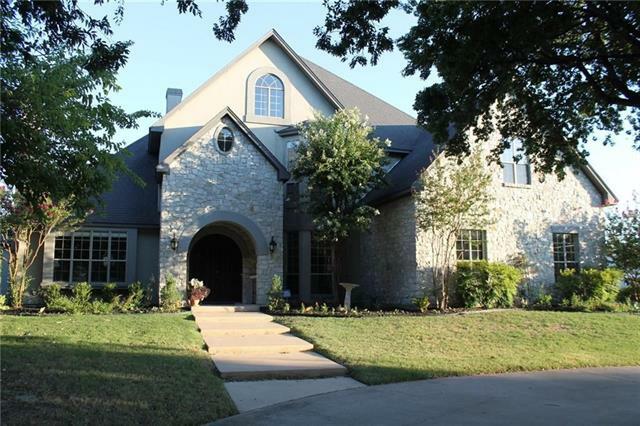 The home boasts a 4 car garage, 3 full baths, 2 fireplaces, and a large master bedroom. 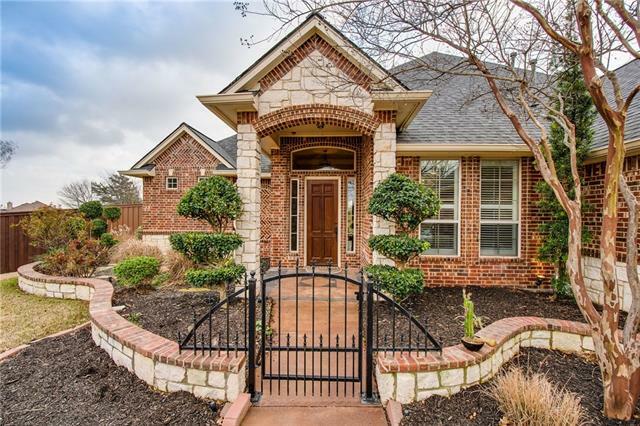 This move-in ready home in the sought after Midlothian ISD comes fully equipped with double ovens, counter lighting, sprinkler system, and 2 huge living areas joined "
"NEW JOHN HOUSTON CUSTOM HOME IN BRYSON MANOR IN MIDLOTHIAN ISD. 2 story open concept floorplan with 4 beds, 2.5 baths, 2 car garage, game room, media room and a covered patio. Unique features about this home include; faux stone to ceiling fireplace, built in cabinets on both sides of fireplace, custom stain cabinets to ceiling with glass uppers, wood wrap kitchen island with quartz counter tops, 8ft first floor doors, ORB fixtures and gray interior paint. READY IN JUNE." "Country living with NO city taxes in highly sought after Heritage High School. This two story home boast refreshing swimming pool has endless possibilities. The front sitting room could be a dining room or study. The main living room is open to the kitchen with door leading right out into the backyard oasis. Upstairs there is a large living room two great size bdrms and bonus room. The bonus room could be a 4th bdrm, media room or game room. The outdoor living space is great for entertaining. Th"
"New Construction!! 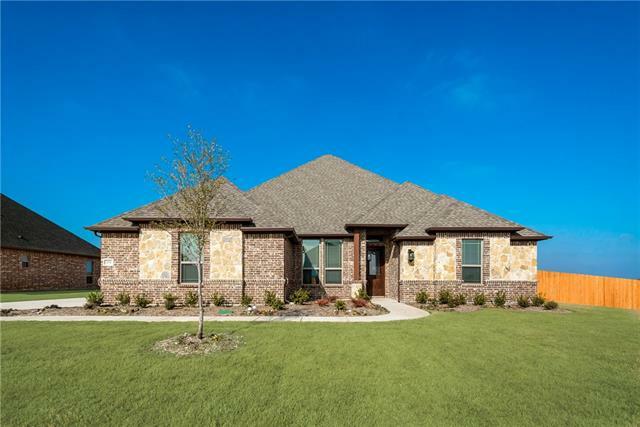 Beautiful new AGC Custom home in the new community of Bryson Manor! The open floor plan features 4 bedrooms, 3 full baths and an office. Wood floors throughout the office, living and kitchen! SS appliances with double oven! Granite counters throughout. 12x22 covered back patio and 3 Car Garage. Feeds to new Dolores McClatchey Elementary and Heritage High School. Scheduled to be completed mid April." "BEAUTIFULLY well maintained home located in the sought after Ashburne Glen Estates. This elegant, single story has 4 spacious bedrooms, 3 full baths, 2 Living Areas, Office, Formal Dining PLUS an awesome Man Cave or Gameroom. The welcoming family living area, complete with fireplace, opens to the Kitchen at the heart of the home with custom cabinetry, gas cooktop, walk in pantry and tons of counterspace. Master suite is a private retreat with large shower, separate soaking tub & walk in closet. " 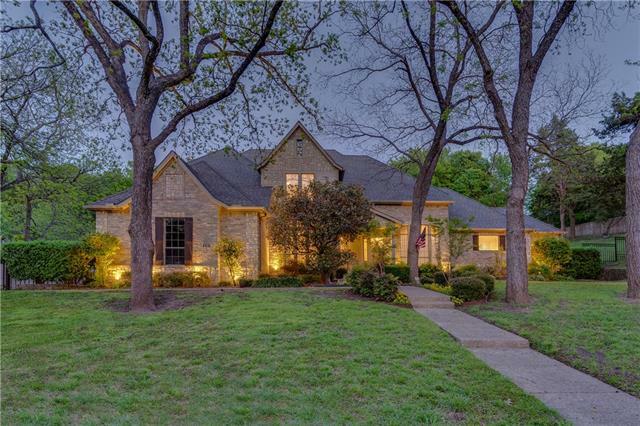 "Beautifully Upgraded George Tellez Custom Home in sought after Midlothian ISD!!! Extra large rooms throughout, master bedroom has textured accent walls, tray ceilings, master bathroom has gorgeous shower with body sprayers, jetted tub and huge master closet. Large living room has custom beams and stone fireplace and bonus of speakers throughout. Fabulous kitchen features double ovens, granite, tons of cabinets and countertops!! Home has low utilities and very energy efficient home. GORGEOUS "
"Lillian Custom Homes, The Juniper. 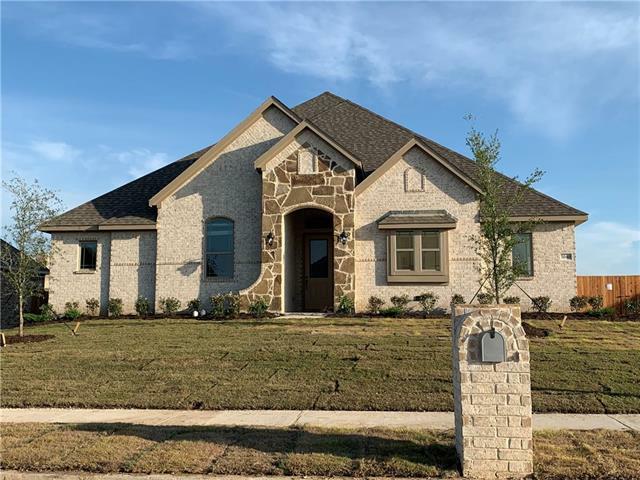 One story home with 4 bedrooms, 2.5 bathrooms, Formal dining, Spacious family room with a fireplace, breakfast nook, Gourmet kitchen, and a gorgeous master suite with sitting area, walk-in shower and huge walk-in closet. 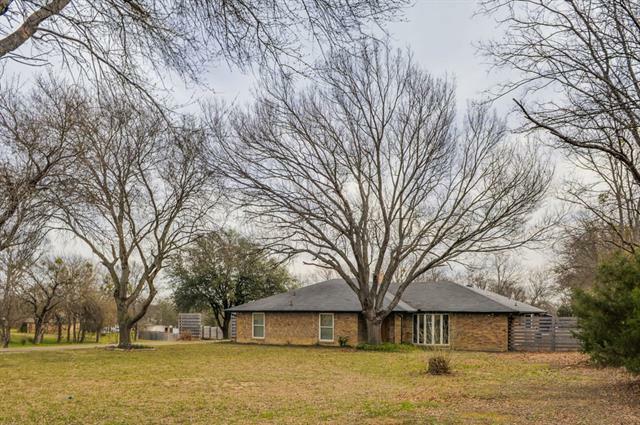 Homes sits on a 0.345 acre lot with a large covered patio, giving plenty of room for backyard entertaining. 2 Car Garage. All Lillian Custom Homes come with a 1-2-10 home warranty, & offer a Hometown Heroes purchase program. *This home is curr"
"Ready now! Lillian Custom Homes, The Periwinkle. 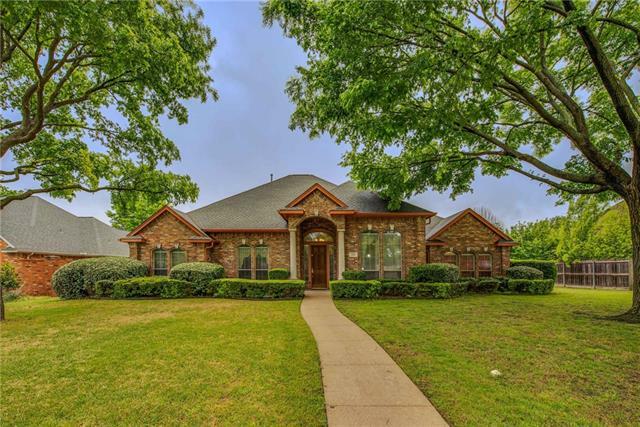 One story home with 3 bedrooms, 2 full and 1 half bathroom, Formal dining, Study, Spacious family room with a fireplace, Gourmet kitchen with breakfast nook, Game room, a gorgeous master suite and huge walk-in closet. The master bedroom has a door leading to the covered patio. 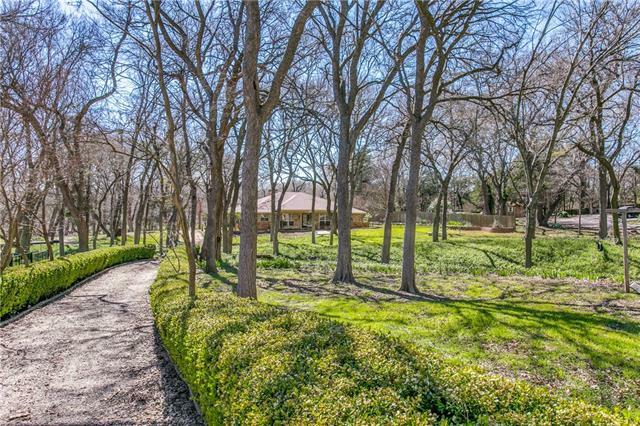 Homes sits on a 0.387 acre lot with a large covered patio, giving plenty of room for backyard entertaining. 3 Car Garage. 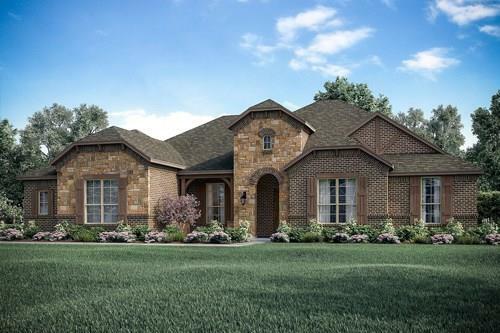 All Lillian Custom Homes come with a 1-2-10 home w"
"NEW JOHN HOUSTON CUSTOM HOME IN BRYSON MANOR IN MIDLOTHIAN ISD. 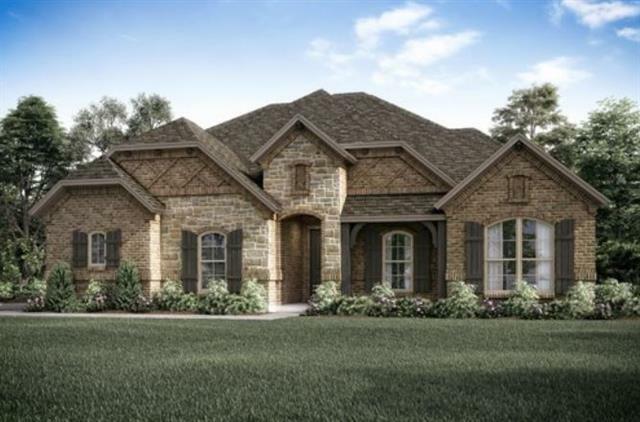 1 story open concept floorplan with 4 beds, 2.5 baths, 2 car garage, study and a covered patio with a fireplace. 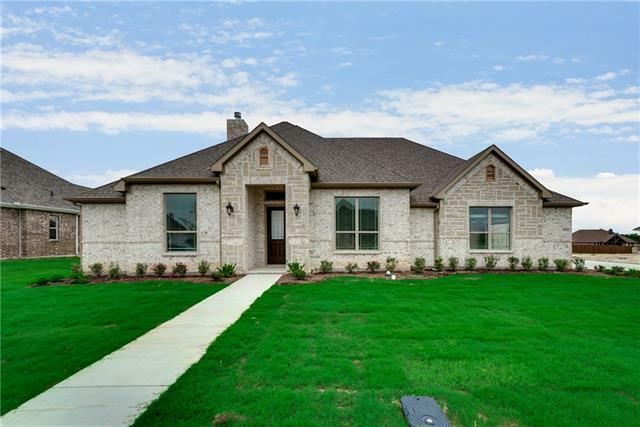 Unique features about this home include; wood flooring, wood wrap kitchen island with granite counter tops, custom white cabinets to ceiling, gray interior walls, brushed nickel fixtures, upgraded tile throughout and so much more. READY IN JULY." "This fabulous 4 bedroom, 3 bath home is great for entertaining as well as relaxing! Two living rooms provide much space for any event you may have. The framed windows in the formal dining room provide an elegant feel to the room. Cozy up by the fireplace of your choice! The double sided fireplace in the living room opens up to the kitchen as well. Or choose to stay warm by the fireplace in the master bedroom. Want to spent time outdoors? Enjoy relaxing on the covered patio or hang out in the lar"
"Look no more you have found your new home! 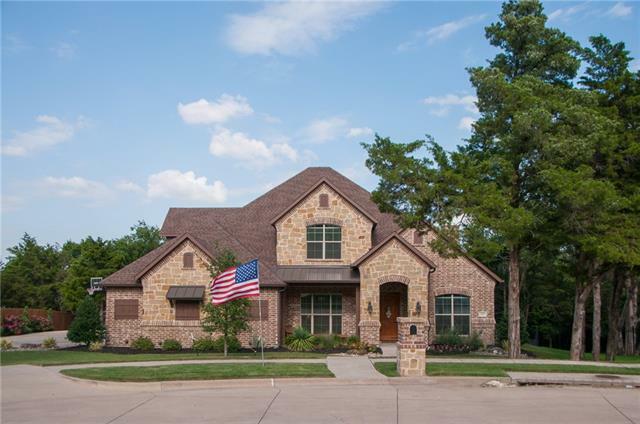 This gorgeous Elwood Custom Home offers you a Craftsman style 4 bed, 2.5 bath, media room, study and a 3 car garage. It has stainless steel appliances, wood floors in the living area and study, and quartz and granite counter tops throughout the entire home. 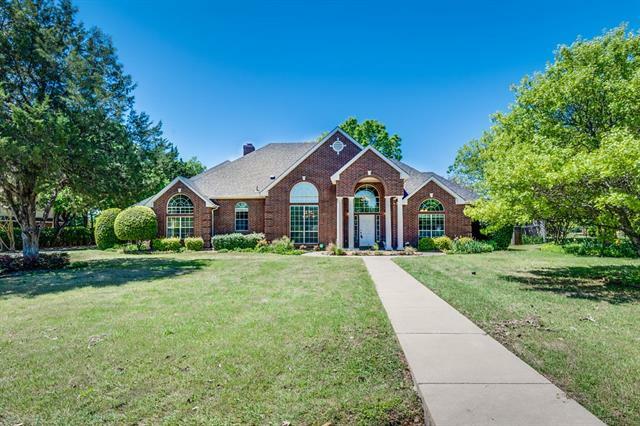 This home sits on over a third of an acre and is fully sodded, fenced and full sprinkler system. All offered in the highly sought out Midlothian ISD. What more could you need. Set up your showing"
"Beautiful Custom home sitting on a heavily treed 1 acre lot! 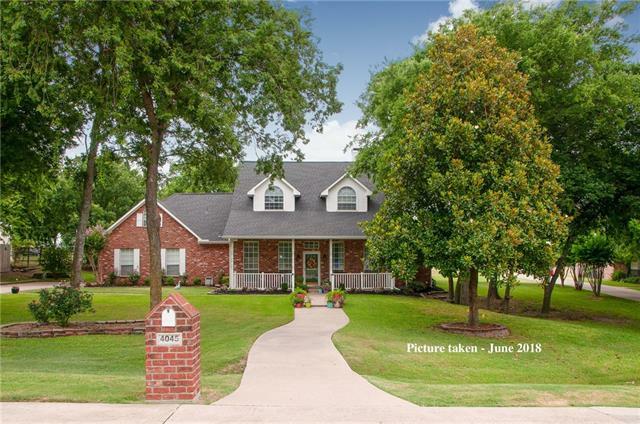 This one owner home was custom built with family gatherings and entertaining in mind! Upon entering you will see the formal living area and grand formal dining with built-in's. The second living is open to the kitchen and has windows overlooking the back patio. The natural light through the quaint breakfast room is perfect for morning breakfast. The split bedrooms are separated from the master and one has built-in cabinets and floating"
"Ready April 2019! Lillian Custom Homes, The Shetland. One story home with 3 bedrooms, 3 bathrooms, Formal dining or Study, Spacious family room with a fireplace, breakfast nook, Modern kitchen with white cabinets, Game room and 2 car garage. Gorgeous master suite with garden tub, walk-in shower and huge walk-in closet. Wood-like tile! 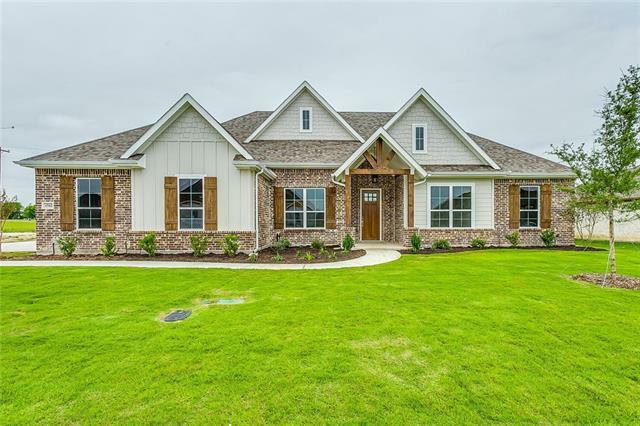 Homes sits on a 0.377 acre lot with a large covered patio, giving plenty of room for backyard entertaining. . All Lillian Custom Homes come with a 1-2-10 home warr"
"Talk about first impressions and curb appeal! Impressive drive up and setting for this beautiful home on over 2 acres with a creek in the back. Just beautiful! Great layout and ample space - bonus room at entrance could be turned into a 4th bedroom. 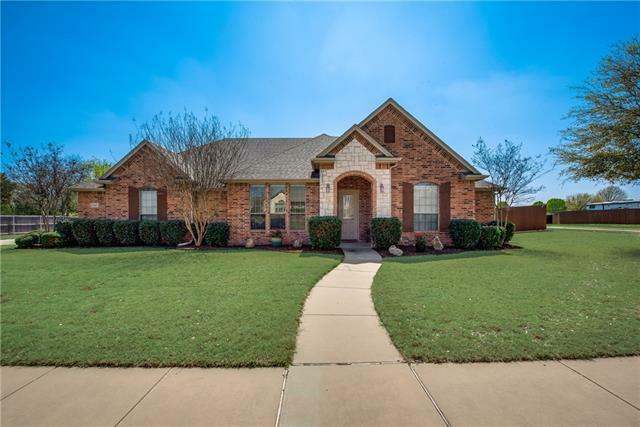 Nice big kitchen with breakfast area and butlers pantry, great work space in laundry, sunny enclosed solarium looking out into the back, tray ceilings, new roof in 2017, transferable home warranty started February 28th 2019 for one year well and se"
"Meticulously maintained 3 bed 2 bath in Midlothian ISD. Huge kitchen features granite countertops, tile backsplash, Island, 5 burner gas cooktop, stainless steel appliances plus breakfast bar opened to a large living room with a gas fireplace. Split bedroom floor plan with an office or formal dining. Master bath has oversized walk in closet, separate sinks, jetted tub and separate shower. Covered patio overlooks landscaped backyard with a wood privacy fence and shed wired for electric. This "
"Midlothian Schools! Absolutely amazing 4 bedroom, 2 bath, 2 garage custom home on .93 acre! Ready for any and all buyers and financing! No detail has been missed!! The home features a new roof! granite tops, 9 foot ceilings, over-sized living, 2 dining areas, custom floors, new roof and gutters, covered patio, soaring tall trees and plenty of fully fenced yard for anything you choose! 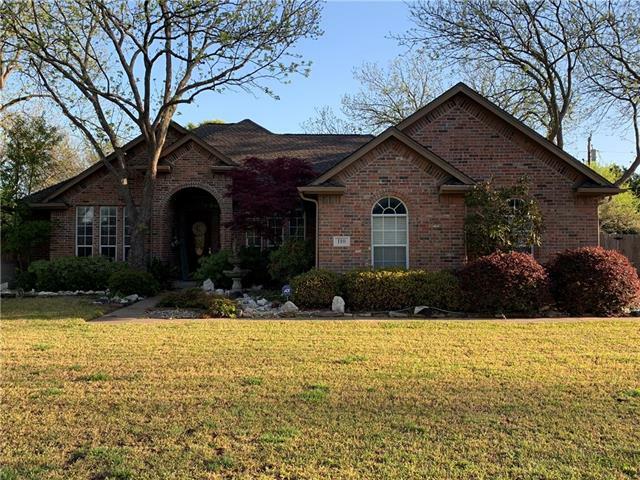 Located in the most favorable Midlothian School campuses of Dolores McClatchey Elementary, Walnut Grove Middle S"
"Nice 4 bedroom home with 3 baths and open concept with 2 dining areas. Granite in Kitchen and a eat at bar between kitchen and living. Has a 2 car garage on the backside of the home. Great house for a family and for entertaining. One of the bedrooms is on the backside of the house with a bath next to it. It would be great for a mother in law room. New wood look flooring has been installed and looks great, Come take a look."